Last week’s leak to the Washington Post of an intelligence report about President Trump’s son-in-law Jared Kushner meeting with Russian Ambassador Sergey Kislyak in early December to discuss a possible back channel to Moscow appears to represents the climax of the campaign of leaks against the Trump team regarding contacts between Trump associates and Russians. 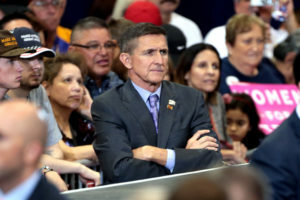 The leak about Kushner came shortly after another sensational story broadcast by CNN on May 17 about U.S. intelligence picking up conversations among Russian officials during the presidential campaign in which they bragged about having cultivated a relationship with retired Lt. Gen. Michael Flynn and expressed the belief they could use him to influence Trump. Those two leaks sandwiched extraordinary testimony by former CIA Director John Brennan before the House Intelligence Committee on May 23 in which he said he was concerned about “intelligence” regarding Russian efforts to “suborn” certain Americans – meaning to induce them to commit unlawful acts. That may have been a reference to the leaked interception of Russians bragging about their relationship with Flynn that had just been reported. “It raised questions in my mind about whether the Russian’s efforts were successful,” Brennan said. Then, Brennan offered an inflammatory comment reminiscent of McCarthyism. “Frequently people who go along a treasonous path do not know they are on a treasonous path until it is too late,” Brennan said. “not only highly improper but also possibly even illegal,” as Politico reported. In an interview with the PBS NewsHour, former Director of National Intelligence James Clapper followed that script, suggesting that the attempt to “mask this dialog” with Russia made the Kushner request inherently suspicious. Clapper also argued that the proposal for the channel was illegitimate because the meeting was held before Trump became president. “There is a distinction between reaching out, establishing lines of communication versus substantively interfering with the policy of the present administration,” he said. But the Brennan-Clapper line insinuating that the Kushner request for contacts with the Russians was potentially treasonous collapses in light of the well-documented story of how President-elect Richard Nixon’s national security adviser-designate Henry Kissinger established his own personal backchannel to the Soviet leadership in 1968 using a known KGB operative with whom he had been meeting for years as his contact. Historian Richard A. Moss of the Naval War College recently published an authoritative book-length study of the Kissinger backchannel showing that that Kissinger began setting up his backchannel to the Soviet government leadership through his Soviet contact in December 1968 soon after being named Nixon’s choice for national security adviser. And it shows that Kissinger seized on the one Soviet government contact he already had to establish the backchannel. That was Boris Sedov, whom Kissinger knew to be a KGB operative. 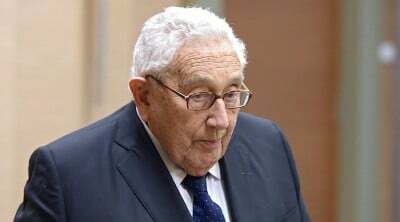 Kissinger had been acquainted with Sedov from the latter’s visits to Harvard. The two continued the contacts after Nixon’s election in 1968. Moss’s book recounts how Kissinger used the Sedov channel to introduce the concept of “linkage” of different policy issues into negotiations with the Soviets. Sedov gave Kissinger a Soviet government paper on Middle East policy, according to Moss’s account. Only after Nixon’s inauguration did Kissinger and Soviet Ambassador Anatoly Dobrynin agree that all further communication would be through Dobrynin. 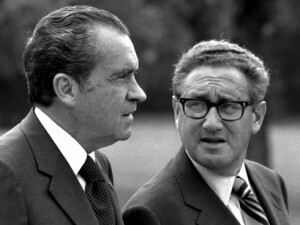 Both the Kissinger-Sedov and Kissinger-Dobrynin channels were kept secret from the rest of the Nixon administration’s national security apparatus, as recounted by Moss. Nixon agreed to set up a secure phone line in the White House linking him directly to Dobrynin. The U.S. intelligence agencies, the National Security Council staff and the Pentagon were kept in the dark about these conversations. And to complete the parallels between the Kissinger backchannel episode and the Flynn and Kushner contacts with the Russians, Moss reveals that Sedov later bragged to a Lebanese-American about his contact with Kissinger –- a boast that was immediately picked up by FBI surveillance of Sedov. Further, Oleg Kalugin, the head of the KGB’s station in Washington, surely boasted to his Kremlin bosses about having “forged a close back channel tie with Henry Kissinger” – as Kalugin put it in his own memoirs – that would be useful in influencing Nixon’s policy toward the Soviet Union. This history of Kissinger’s Soviet backchannel in 1968 reveals Brennan’s breathless alarm about Russian “suborning” Flynn or using the backchannel to manipulate Kushner as unworthy of a serious intelligence professional. And the Trump transition team’s reasons for wanting a private channel of communication with the Russians that would not be visible to the U.S. national security bureaucracy were precisely the same as those of Nixon and Kissinger. The leak of the intelligence report of the Kushner-Kislyak meeting to The Washington Post underscores the problem faced by the Trump team amid the flood of leaks about U.S.-Russian discussions that were conducted through official U.S. channels. Demonstrating the intensity of the anti-Trump attitudes among many Obama officials – both those who have left the government and those who remain as holdovers – someone with access to the secret report was so determined to expose the Kushner backchannel as to reveal to the Russians what must be one of the most sensitive U.S. intelligence secrets of all – the U.S. capability to intercept Russia’s diplomatic messages. The idea of depending on a secure line of communication within the Russian Embassy for the backchannel was inherently unrealistic, but not because it would give the Russians some unfair advantage in negotiations. The real problem was that it would have been too awkward for a U.S. official to go to the Russian Embassy every time he wanted to use the channel. Indeed, it appears that the proposal was not pursued further because the Russians themselves were wary of it. “Better relations with the Russians would be a good thing.” He noted several “areas of opportunity” including energy resources and cooperation on counter-terrorism in Syria, Iraq and elsewhere. 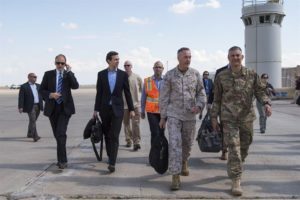 “If Kushner and Kislyak were discussing how to defeat ISIL that would be a perfectly legitimate thing,” said Moss. Jared Kushner and Michael Flynn are obviously no Kissingers. But the insinuations from Brennan and others that Trump’s advisers may have somehow crossed the line into treason is itself the crossing of a dangerous line into McCarthyism. And the mainstream U.S. news media is participating enthusiastically in the campaign to impugn the loyalty of Trump’s advisers, even though there is still no public evidence to support such suspicions. Gareth Porter is an independent investigative journalist and winner of the 2012 Gellhorn Prize for journalism. He is the author of the newly published Manufactured Crisis: The Untold Story of the Iran Nuclear Scare.